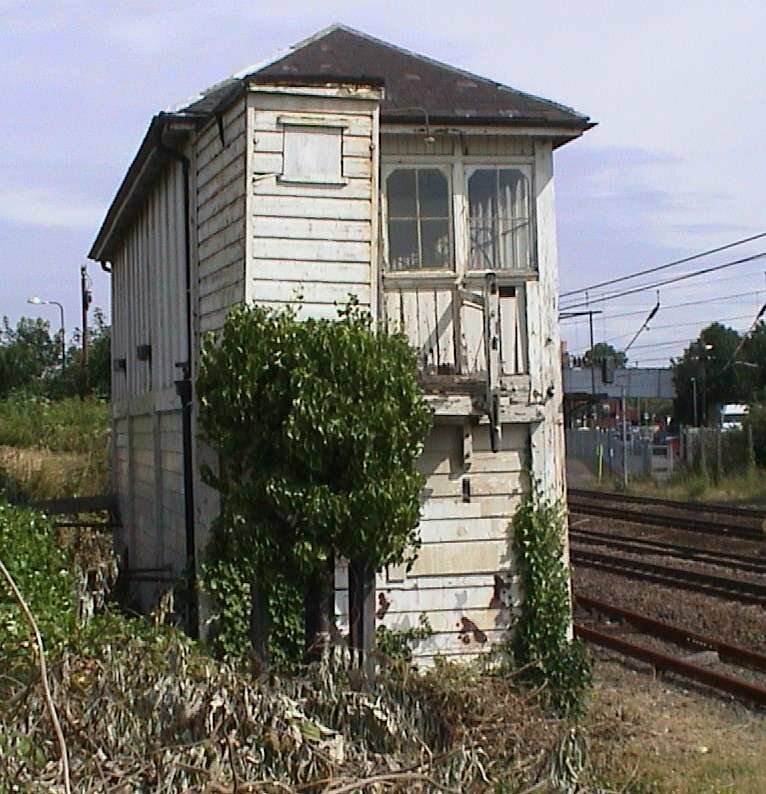 10 December 2002 - Network Rail have agreed to an on-site meeting early in January, with us and the contractors who have raised an objection. Nothing that can't be overcome - we hope. 8 November 2002 - Letter received from John Armitt, chief executive Network Rail. 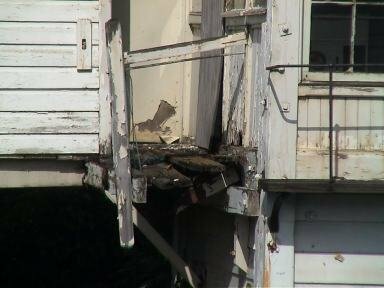 He has taken it up with his Property Manager, who will be contacting us shortly to advise on the current situation. 27 September 2002 - Further phone calls to Railtrack result in a 'phone again in a few months' response. Discussions amongst the group suggest a new tack is needed to raise the profile of the project. 5 September 2002 - Looks like vandals have visited again. The gantry must have been quite rotten before they stood on it. They won't be doing it again after the damage they caused. Click to enlarge. 22 August 2002 - A Railtrack engineer has visited the site and has agreed its feasibility. Plans have been sent detailing fencing and access proposals. We now await the Rail regulator and Strategic rail authority's views. 21 July 2002 - A short back and sides courtesy of Railtrack. Some of the foliage may have been holding it up though! Click for a better look. 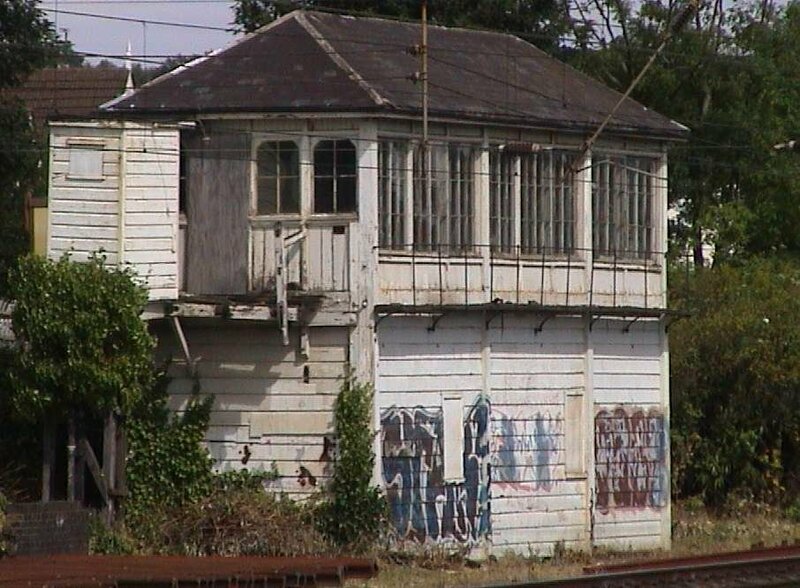 5 July 2002 - No news from Railtrack - except for confirmation that the platform lengthening for Thameslink 2000 will not encroach on the signal box. We have been given another name to contact at the Property Division. 28 June 2002 - Talked with St Albans environment department who are very supportive of the project. Also talked with local councilors and MP - all supportive and wish to help.